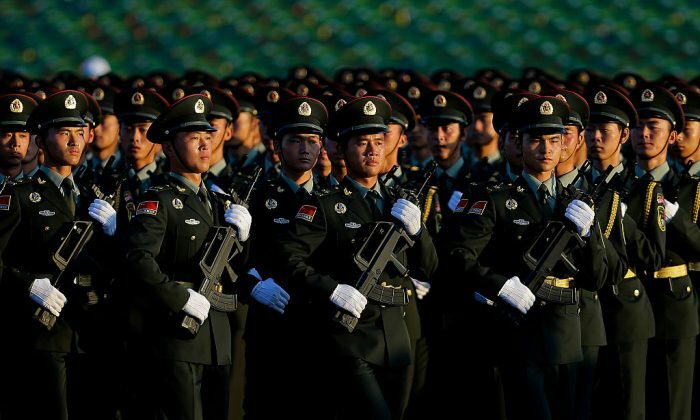 The Chinese Communist Party (CCP) made a stream of announcements on May 24 and 25 that it is deepening its military ties with several nearby countries, including Russia, Thailand, Myanmar (formerly Burma), and Malaysia. At any other time, it would just appear the CCP had gone through a brief spat of highly-successful diplomacy. But in this case, the timing is important. All these agreements come just one to two days after President Barack Obama met with Vietnamese leader Tran Dai Quang on May 23 and officially ended the U.S. arms embargo on Vietnam. On May 25, the CCP joined the “China-ASEAN Defense Ministers’ Informal Meeting” in Laos, and on May 24 it held the “18th round of strategic consultation between Chinese and Russian militaries,” according to China Military Online. Chinese state-run news reports said on May 25 that Myanmar vowed to deepen military cooperation with China, Thailand vowed to improve its military relations with China, and Malaysia announced that it would strengthen its naval cooperation with China. During the May 24 meetings in Beijing, Russia and China held discussions on military strategy and cooperation. The meeting was between Jianguo, Deputy Chief of Joint Staff Department of China’s Central Military Commission; and Lieutenant General Sergey Rudskoy, Deputy Chief of General Staff of the Russian Armed Forces and Chief of the Main Operative Directorate of the General Staff of the Russian Armed Forces. China and Malaysia also held another set of meetings on May 24, where they agreed to cooperate more on defense. According to Xinhua, the meeting was between Vice chairman of China’s Central Military Commission Xu Qiliang, and Malaysian Navy chief Dato’ Seri Panglima Ahmad Kamarulzaman bin Haji Ahmad Badaruddin. And to top it off, on May 23, the same day Obama made his announcement alongside Quang, the Chinese and Thai militaries fired anti-aircraft missiles during a training in Thailand. China Military Online waited two days to post the announcement, and noted the drill between the two was the first of its kind. This is likely the CCP’s way of telling the coalition that has formed against its aggression in the South China Sea that it also has a coalition of nations behind it.